The German surname Hart appears in Charleston as early as 1744. Daniel Hart, Hymon Hart, Hart Moses Hart, Philip Hart, Alexander M. Hart, Solomon Hart, and Hart Solomons were major financial contributors to Kahal Kadosh Beth Elohim between 1790 and 1820. Several Harts married into families with Sephardic names such as Seixas, Lopez, and Lazarus. 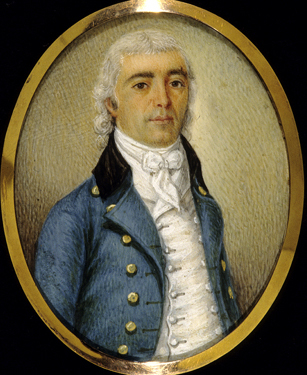 Landing in Charleston in the wake of the American Revolution, German-born Daniel Hart, whose portrait is shown here, helped revive the chamber of commerce and rebuild the city’s war-stricken economy. 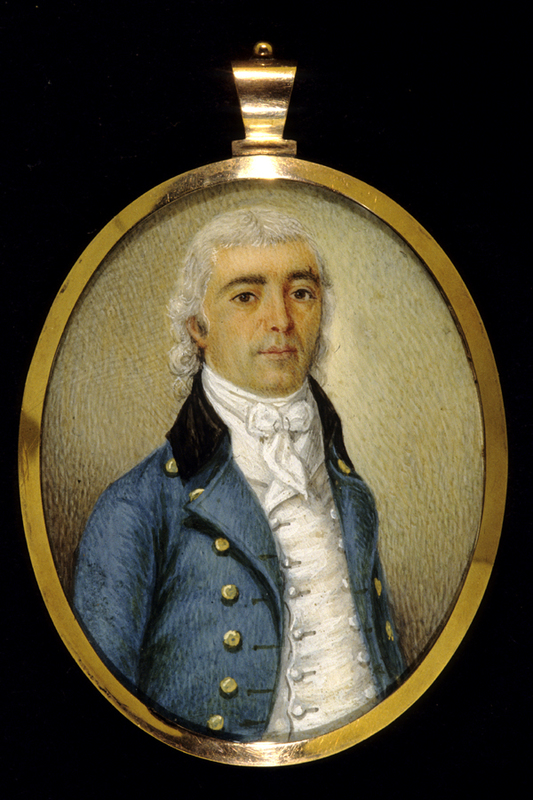 The finely painted miniature may have been worn by Daniel’s English wife, Bella Levy, who had come to the port city around 1783.